Major depression is a debilitating mental illness. Symptoms can include listlessness, feeling hopeless, thoughts of death or suicide, and anhedonia. Many different antidepressant medications are available for depression, however many patients are resistant to medication or may try several different medications before finding one that is effective. Targeted and more efficacious medications are therefore needed. Potential antidepressant compounds can be screened using predictive animal models. The forced swim test, also known as the Porsolt test, is a widely used method for screening antidepressant compounds. In this model, rodents are placed in a cylindrical tank filled with water and the time spent immobile versus struggling is measured. Immobility is thought to be an index of a depressive-like state which can be reduced by antidepressant treatment. The tail suspension test is similar to the forced swim test, but instead of using water, rodents are hung by their tails. 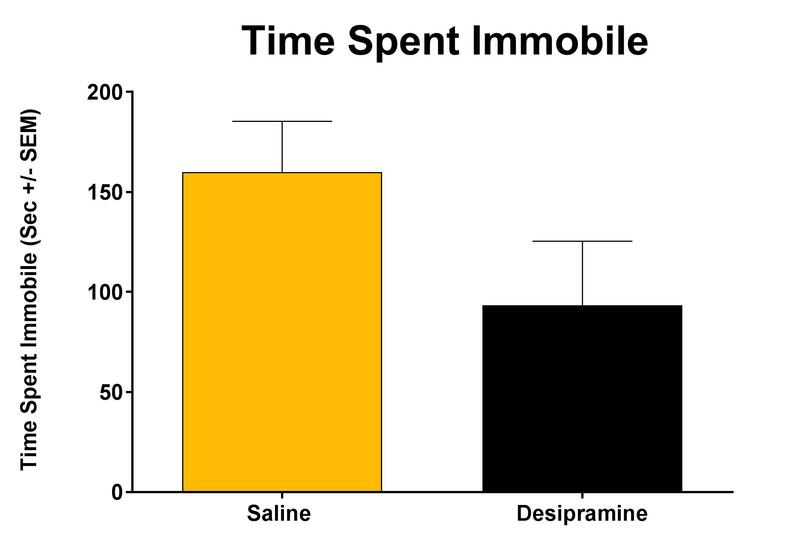 The time spent immobile is measured as an index of a depressive-like state which can be reduced by antidepressant treatment.